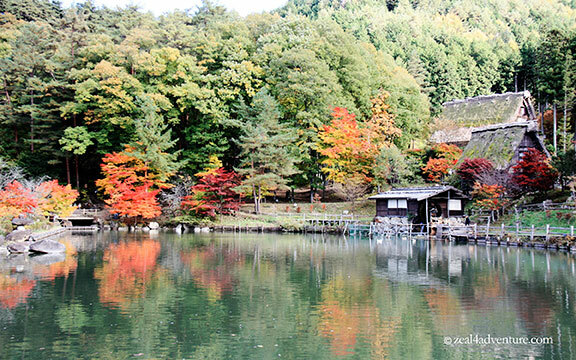 I love how the Gassho-Zukuri farmhouses stand out against the warm hues of autumn – a stunning contrast, really. 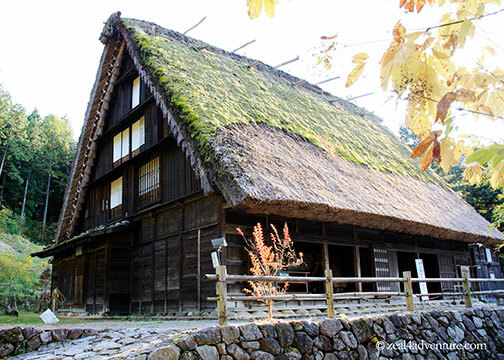 This tall (possibly 3-4 stories high) coffee-colored A-shaped thatched roof farmhouses were first built during the Edo period. Lush woodland with hints of fall reflects on the stillness of the pond like a mirror. It reminds me of a Monet artwork except that the setting isn’t France. 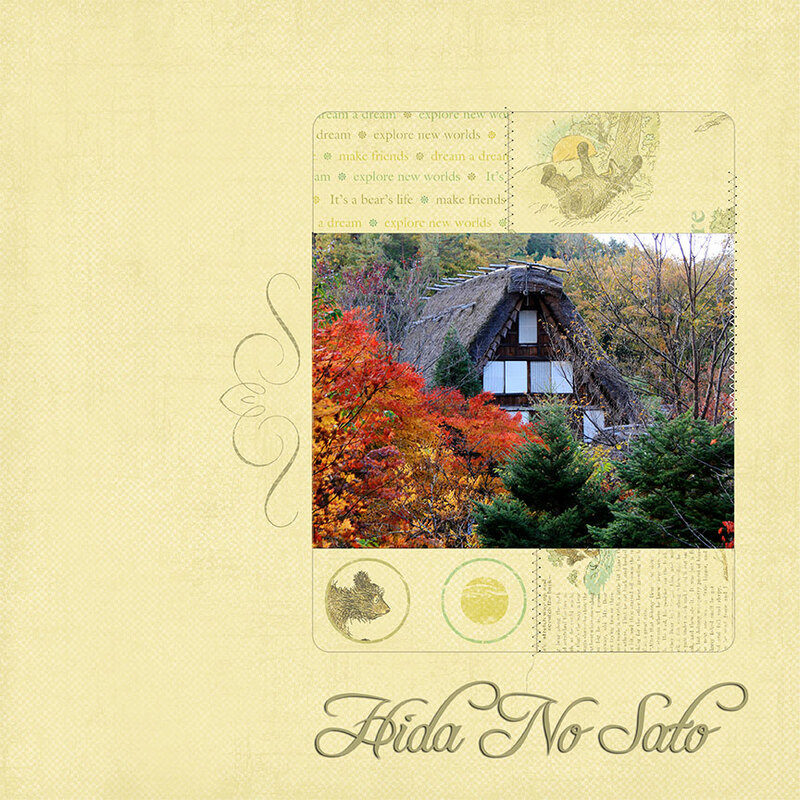 This is the first thing your eyes will wander to once you enter Hida No Sato, sometimes also called Hida Folk Village. And this is where those Gassho houses were relocated. 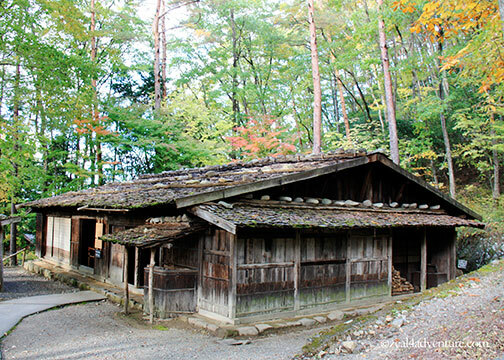 It resembles a village of old Japan – it has around 30 well-preserved traditional houses, storehouses and other structures with farming tools and everyday utensils displayed in each house. This outdoor museum of sort, aside from preserving the structures, strives to keep the culture alive by offering hands-on lessons on the traditional way of life like rice cropping, straw-work and stitching, cypress carving to even storytelling using the local dialect. 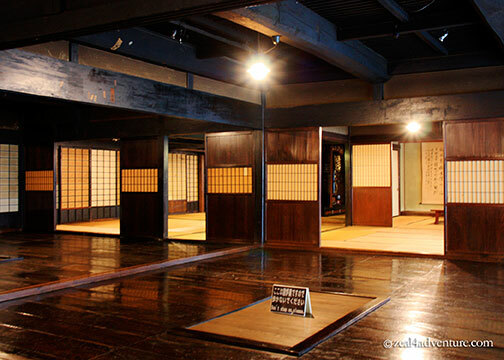 A few hours here will boost your appreciation on how life was back then for farmers and craftsmen of the Hida region. Life isn’t easy for these people as winter is harsh in this part of Japan. The steep slanting roof was said to be for the purpose of rain and snow. It allows both to fall straight off, preventing water from seeping through the roof or heavy snow collapsing the roof. It also eases the work of cleaning. Isn’t it amazing how a practical need has led to a fascinating and unique style of architecture? So when in Takayama, you must go visit this place. 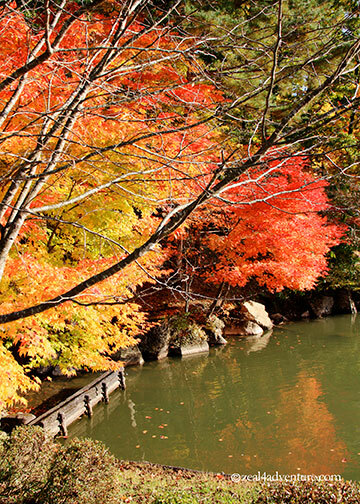 It’s just a 30-minute walk from town or a 10-minute bus ride from the Takayama Station. It will be a feast for the eyes and the soul. Take a 10-minute bus ride from the Takayama Station (bus runs every hour); get off at the Hida No Sato bus stop. Beautiful series of shots, love the houses and the colours of the trees. Beautiful post. Boom & Gary of the Vermilon River, Canada. Hi Jenn, you are so privileged in having these travels. I’ve never been to Japan….yet! haha. take care.